I've always been completely awful at drying my hair, I wish I could do it the fancy way the hairdressers do it but as multi-tasking is not my strong point, it never works. 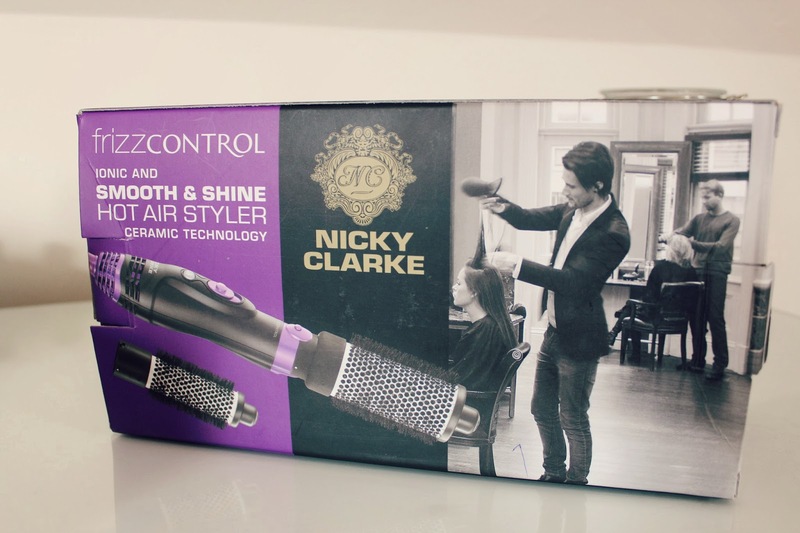 The Nicky Clarke Smooth and Shine Hot Air Styler is the way to achieve a salon blow dry at home! 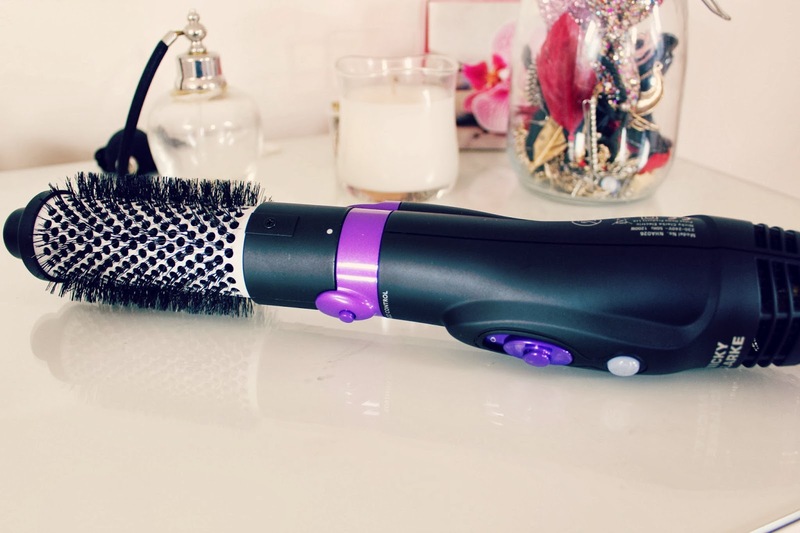 It helps to smooth out your hair and prevents it getting frizzy, the styler comes with two sized brushes which are really each to change around and attach, I use the larger one on my hair and the smaller one on my fringe. When I use this, I towel dry my hair and then in small sections I just work the brush through my hair in the same technique that they do at salons. It's SO much easier than using a brush and a hair dryer! It does take quite a lot longer to dry my hair than a normal hairdryer and does take more effort and concentration so it's not something I do every single day as it can be time consuming, but when I want my hair to look salon styled, this is what I use! I know with some other stylers, the heads rotate which makes the whole process a lot easier, this one doesn't. It's not a huge problem it just takes a bit more getting used to, to get the technique right. When I usually dry my hair, it can go quite frizzy and wavy, using this elimanates any frizz and makes it nice and straight too so I don't need to straighten my hair too much after using it, compared to before when I had to spend a lot of time getting rid of the kinks! I would really recommend this if you like that salon finish to your hair, it definitely makes styling afterwards so much easier! 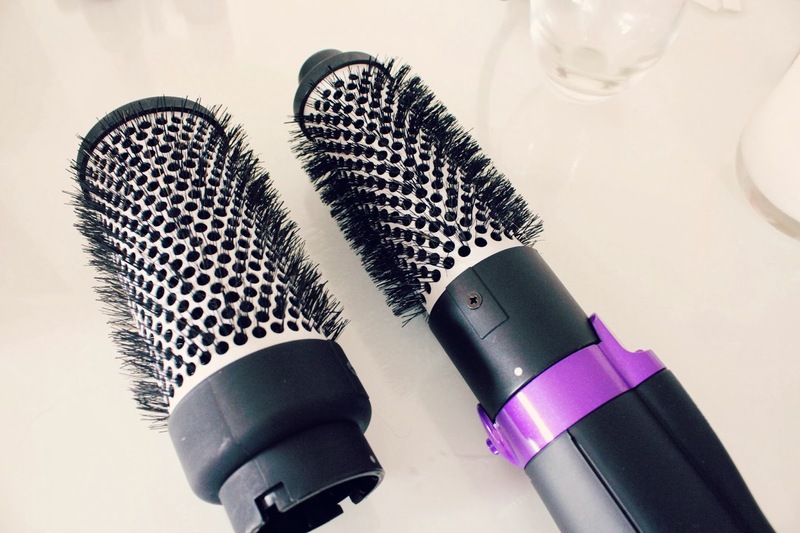 Have you ever tried a hot air styler? I use my THX hot air styler and I love it! This one sounds fab! I'm a slave to anything that will reduce frizz.